5 years Purpose: Tuition fees Library/Other institution charges Hostel/Mess charges Travel expenses abroad (one way only). Margin Required: Maximum 15%, depending on the loan amount. 20% of the loan amount in case of abroad studies. 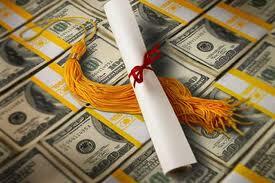 The loans are to be repaid starting from 6 months after course completion or 1 year after getting a job. Delhi Tel: 3321562, 3325147, Bangalore Tel: 5586137, 5595347, Chennai Tel: 8283652, Hyderabad Tel: 3237760, 3230450, 3230368, Kolkata Tel: 4754047, Mumbai Tel: 2656727.